There are many good reasons why you may want to feed your dog a grain free dog food. Your dog could have allergies to certain grains. Some grain free dog foods have better ingredients than average dog foods. And some grain free dog foods are higher in protein and lower in carbohydrates than typical dog foods. 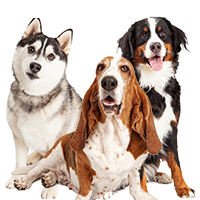 We say “some” because these facts are not true of all grain free dog foods, but there are many good grain free dog foods that do follow these criteria. On the other hand, some grain free dog foods can have perfectly average protein percentages and even very high carbohydrate percentages. They may not include grains in their formulas, but they can include ingredients such as potatoes, sweet potatoes, and other foods that are very high in carbs. These ingredients can be quite nutritious for dogs so we are not suggesting that you should avoid dog foods that contain these ingredients. However, you should not assume that all grain free dog foods are low in carbs. 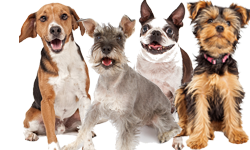 Many people also assume that grain free dog foods are more “natural,” or organic than other dog foods. This isn’t necessarily true either. Some grain free foods do have better quality ingredients but unless a dog food states that it is certified organic or contains specific ingredients that are certified organic, the ingredients are not organic. The FDA has still not defined the term “natural” when it is used on food (or pet food) labels, so any dog food is free to call its food “natural.” This is true whether the food is grain free or not. So, some grain free dog foods do have better ingredients. They can have higher protein and lower carbs, but not always. 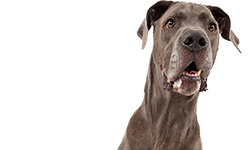 Depending on your dog’s specific nutritional needs, they can be a good choice for many dogs. Where does this leave a dog owner trying to choose the best grain free dog food for his dog? As always, you need to start by looking at the label. Check the ingredients and the guaranteed analysis. This is old advice for most dog owners, but it’s still the best place to start. If your dog really needs a grain free dog food, you need to make sure that the food is actually grain free. 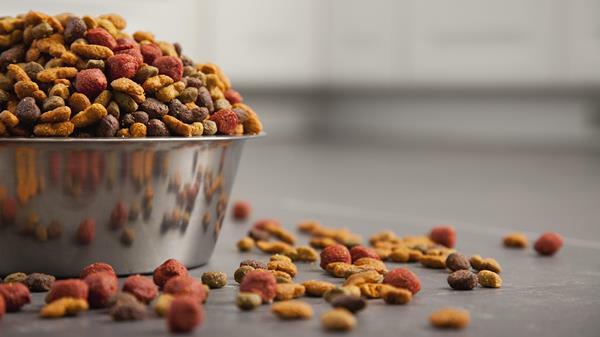 Some dog food companies will omit corn, wheat, and the well-known grains but they can include some of the lesser known grains and cereals as carbs in the food. You might find rice, barley, oats, or millet in the food, for example. If you don’t mind these ingredients, that’s fine. But you should know they are in the food. Strictly speaking, it’s not really honest for a dog food company to claim a food is “grain free” and then include these ingredients, but some do. You will also need to look at the guaranteed analysis for the food and, in most cases, do a little math to figure out the dry matter basis for the food. Doing this calculation removes the moisture content from the figures and lets you make meaningful comparisons to other foods. Subtract the moisture content listed on the label from 100 to find the % Dry Matter (% DM). Now we can see that when moisture is removed, Food 2 actually contains much more protein. 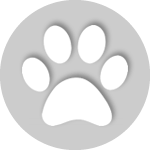 Most kibbles have 10 or 12 percent moisture (guaranteed analysis) so if you are looking at them in the pet store or online, you can compare them without doing the math. They are very similar and it’s not necessary to reduce them to their dry matter basis. But if you want to compare kibble to canned food or you want to know the true dry matter basis of a food, it’s important to figure it correctly. As already mentioned, the carb percentages in grain free dog foods can be surprising. Even though grain free dog foods do not (theoretically) contain grains, they do contain carbohydrates. Some grain free dog foods contain vast amounts of carbs, in fact – more than 50 percent, by dry matter basis. It is often even more important to figure the dry matter basis of the carbohydrates in grain free dog foods than the protein percentage. You will often be surprised to learn how many carbs are in the foods. Some grain free dog foods have low to moderate carbs, but you should check the foods to be sure. Carbohydrates are not a horrible thing for dogs, but no one wants them to make up half of the dog food. 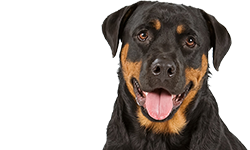 If you are feeding your dog a grain free dog food because you want to feed fewer carbohydrates, you will certainly want to be careful about the carb percentage of the vegetables and other ingredients in the food. It always sounds appealing when companies advertise fresh vegetables and other delicious ingredients in their dog foods, but those are usually things that people like to eat. Very often they add up to carbs that dogs don’t really need. Which ingredients are best in grain free dog foods? However, we have to point out that grain free dog foods are very common now. They are widely produced by both small and large companies. So, some of the chic, gourmet quality of feeding a grain free dog food no longer applies. Tractor Supply Company, for example — a place where ranchers and suburban folks alike shop — carries several aisles of dog foods and at least half of them are grain free. Still, most grain free dog foods are better quality foods than the dog foods you find in your local grocery store. And some of them are excellent. Ingredients to look for in grain free dog foods include whole chicken (often deboned), chicken meal, and various other kinds of named poultry such as turkey and duck. 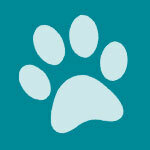 You will also find grain free dog foods that feature salmon and other kinds of fish. Menhaden is popular in grain free dog food, though it’s a very common fish. Some grain free dog foods have beef, buffalo, and other red meats. And some grain free dog foods have lamb. You can find grain free dog foods that have more esoteric proteins such as rabbit and venison, depending on the company. These proteins are generally better for dogs that actually have allergies to some of the more common meat proteins. As you might expect, the more spectacular the meat protein – and the more of it – the more the food usually costs. In many cases grain free dog foods will start off with several meat proteins listed in the ingredient list and then list some pea protein or other plant or dairy sources or protein. This is a way of boosting the protein percentage for the food. Some dogs can have trouble digesting pea fiber/pea protein and dairy, so your dog could have some digestive upset when eating these foods, even if you are paying a huge amount for the privilege of buying them. You can also check the fiber percentages in your grain free dog food. If it’s over 5.5 or 6 percent dry matter basis, your dog is probably getting too much fiber which can lead to diarrhea. Most grain free dog foods will use named fat such as chicken fat (duck fat, etc.). Some of them also include some salmon oil or other source of fish oil which is a good source of omega-3 fatty acid. Plant sources of omega-3 fatty acid, such as flaxseed oil may also be present though they are not usually considered to be as good as ocean sources. Aside from carb sources and the added vitamins and minerals in the food (the “condiments”), these are the ingredients you can count on finding in most grain free dog foods. Foods can also have prebiotics, probiotics, “botanicals,” fermentation products, and other ingredients, but they vary depending on the manufacturer. 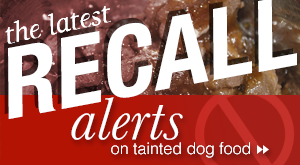 You can usually read more details about what a company puts in their dog food on the company’s web site. It always sounds good. Just remember that these pages are written by the marketing department. They are trying to sell you the food. The only information that they can’t tinker with is the data in the ingredient list, the guaranteed analysis, and the other numbers. That’s where you should really focus when looking at a food. 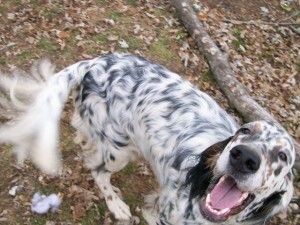 There are countless grain free dog foods for sale today so naming the best ones is difficult. If your dog has a food allergy or intolerance to a certain ingredient, it could mean you can’t feed a certain food. Maybe you like a very high protein percentage. Or maybe you’re very wealthy and you can afford to buy the most expensive food on the market. Other people have to consider cost a little more, especially if they have multiple large dogs. Nevertheless, here are some of the best grain free dog foods that we like, based on the last time we looked at their ingredients and guaranteed analyses. Keep in mind that companies change ingredients, so things might have changed with some of these foods in the last six months to a year. You can see that there are all kinds of grain free foods here, from the most expensive to a private label brand (4Health is a private label brand for Tractor Supply). These are foods we like and/or have tried with our own dogs, but there are many other good grain free dog foods. Many people like Kirkland Signature Nature’s Domain but we haven’t tried it. 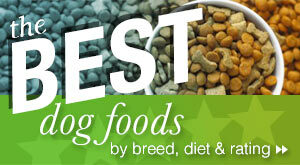 If you’re looking for one of the best grain free dog foods, you should be able to find something on this list. If none of these foods work for your dog, keep checking foods using the suggestions offered here about what to look for. 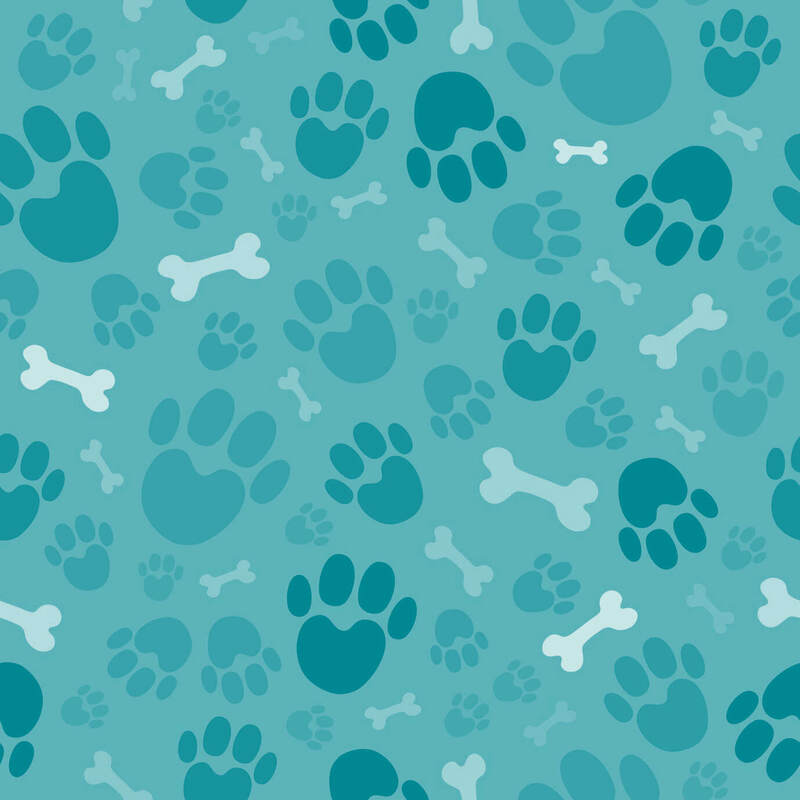 You should be able to find some very good grain free dog foods that will be suitable. Grain free dog foods are a very good choice for some dogs. You can also use them to give your dog a break from dog food with grains. 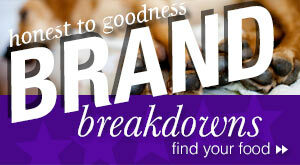 Choose a good grain free food, keeping in mind that not all grain free foods are the same. As with all dog foods, some are better quality than others. Instinct products used to be great products, over the last year they have made changes to the food that our family friends dislike. The product texture has certainly changed in the last 3 – 6 months, the price has increased to an unreasonable amount. The saddest part of this product isn’t even the product itself, it’s the Company who owns it! We have been having issues from whomever supplies this locally to various stores. The product, when opened, has been defrosted then frozen again giving the outer part a gray appearance. One bag was so bad it smelled like rotten fish. Upon contacting the company they simply said return it to the store. Unfortunately the private store we purchase from does not take returns. 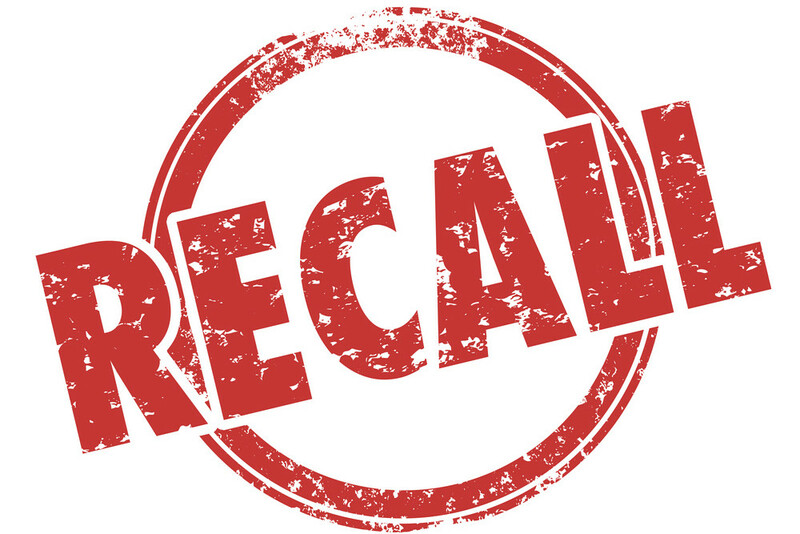 We have gotten expired foods from major pet food stores which ended up making our babies quite ill.
We have supported this company for over 5 years, we no longer buy this product and many I know who also used to buy it no longer purchase it either. Nearly every single bag we’ve purchased in the last year had one issue or another. We thought with time it would improve, it sadly has not. I am very surprised it’s still on your top 10 list, especially when the company’s answer to issues is “just take the bag back and get a new one” with no real customer service apologizing or even offering a long time customer a minor discount. The dry food and training treats all read: Made in the USA. “Made in the USA” doesn’t mean what you think it does. These days “Made in the USA” usually means “made in the USA with ingredients from Asia (usually China)”. If you want to be truly conscientious about what you’re feeding your pets, it’s best to do more research and find out where the ingredients for the food and treats come from, not just where they’re manufactured. Chances are, Biljac dry food and training treats have ingredients that are sourced from Thailand, and then the products are manufactured in the United States with these outsourced ingredients.